PhotoWhoa are offering 5 of their most downloaded eBooks for free to ePHOTOzine members. PhotoWhoa is offering 5 of their most heavily downloaded ebooks for free to ePHOTOzine members. 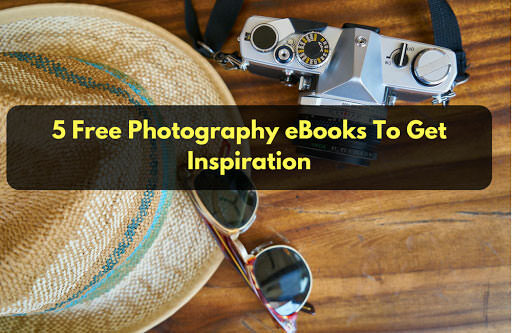 These eBooks are written by well-renowned photographers from around the world. Grab them now - they are a fantastic read whether you are looking out for a dose of inspiration or a dose of knowledge. This ebook will teach you 13 ways to get your wildflowers photography right. Tough as it may sound, you will learn how to get that perfect shot whether there’s too much wind or you just couldn’t get the light right. Street photography is never an easy job. Thomas Leathard will help you gain confidence and learn the art to be unnoticed as you capture mesmerising photos on the street. This ebook will give you a clearer view as to what exactly is considered “macro photography.” You will learn different techniques and software techniques to enhance your macro photos. This ebook will help you improve your photography by discovering 8 different types of natural light and how to use it. By the end of the book, we assure you, your lighting techniques will be at the tip of your fingers. This ebook will give you tips on how to make unique photos with everyday objects and without spending too much money. These eBooks are written by experts with years of experience in their fields. They are sure to inspire and teach you as you read!